So, you might think that the fine folks at SaveABunny are just too busy to come up with odd and creative names for bunnies, but guess again! One day there was some astrophysicist or science geek visiting and sure enough, that's how I ended up getting my name. I don't see the resemblance--do you? 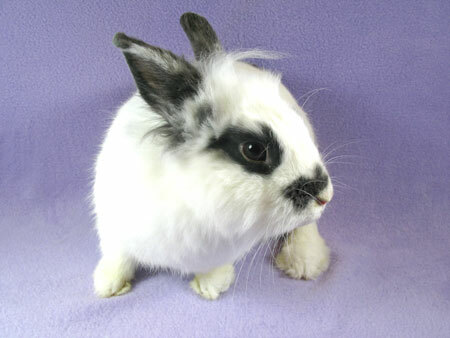 I am neutered and give kisses, but I am not so sure about my namesake , Dr. Smoot. And, quite frankly, that might be too much information---TMI. You can adopt me, not the human Dr. Smoot, if you'd like. BERKELEY, CA – George F. Smoot, 61, leader of a research team that was able to image the infant universe, revealing a pattern of minuscule temperature variations which evolved into the universe we see today, has been awarded the 2006 Nobel Prize for physics. He shares the award with John C. Mather of NASA Goddard Space Flight Center. The citation reads "for their discovery of the blackbody form and anisotropy of the cosmic microwave background radiation." Smoot has been an astrophysicist at Lawrence Berkeley National Laboratory (Berkeley Lab) since 1974 and a University of California at Berkeley physics professor since 1994. Smoot becomes Berkeley Lab’s 11th Nobel laureate.